New decorative crown for the top of your reptile cage. Great for hiding lights and adding to the look of your furniture reptile enclosure! Round your cage length up to the nearest length to find your pricing. For any reptile cage over 6' in length you may order 2 decorative headers to span each half of your cage. 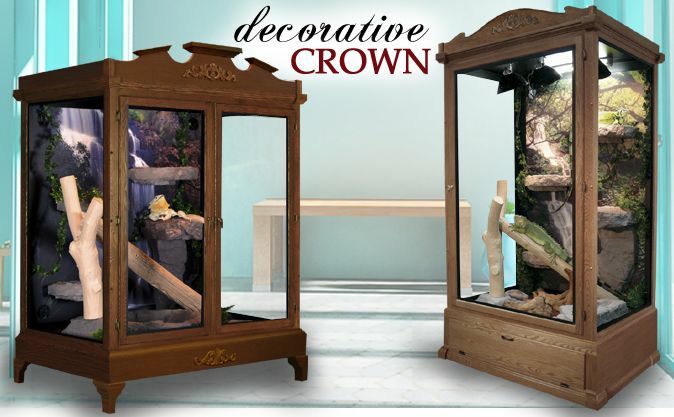 Available in Regal Trim (pictured above left) and Monarch Trim (picture above right).